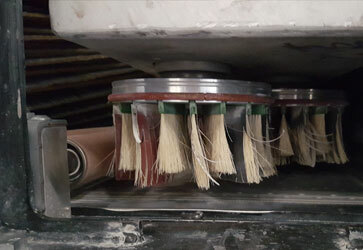 There are many different machinery producers offering brush sanding and denibbing equipment. 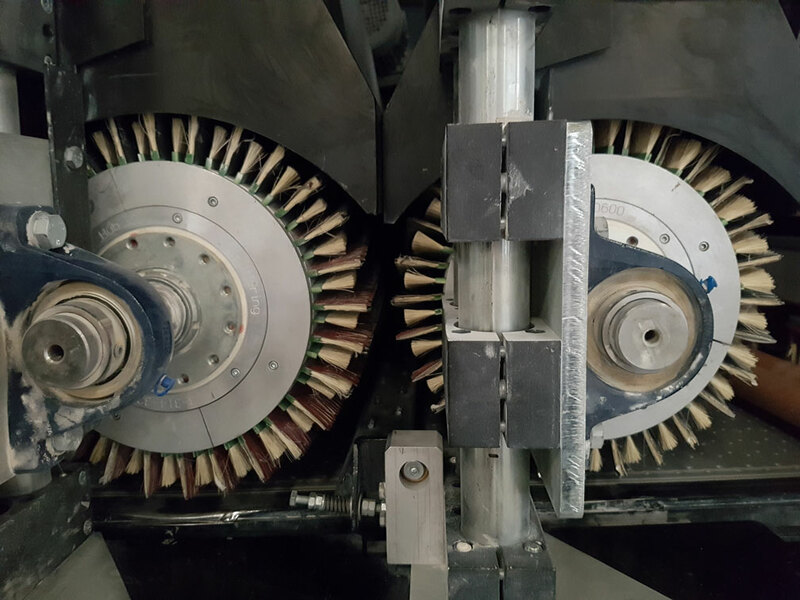 However abrasive brush systems within this equipment varies from producer to producer. Some equipment utilises disposable moulded core brush units and others adopt the refillable key way system brushes. 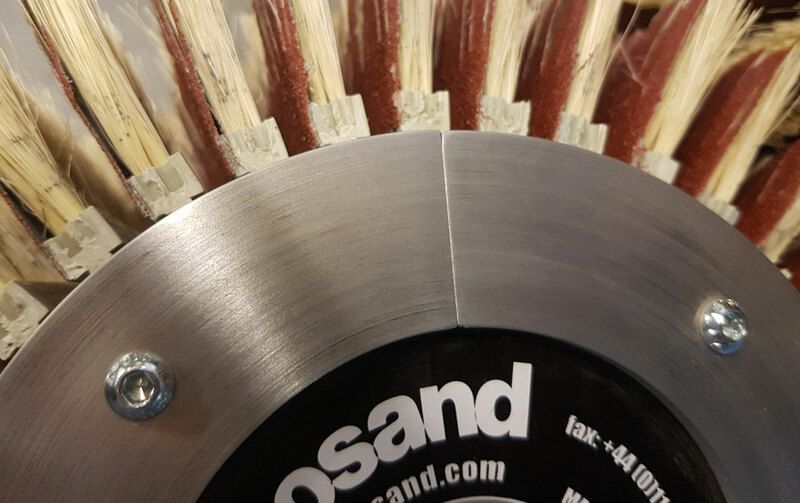 Unosand will be pleased to advise regarding the supply of Sanding Brushes to all existing systems. 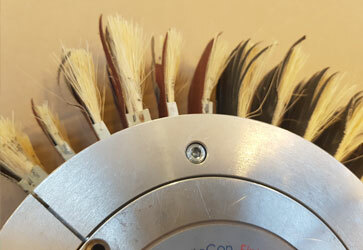 From Gyro brush to disc brush, roller brush to linear brush, Unosand offer a conversion solution. 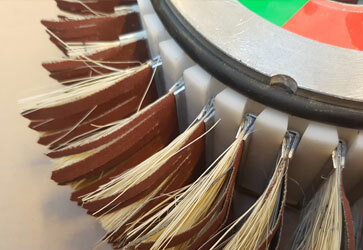 Replacement hubs/discs with sanding brushes or just sanding brushes available at competitive prices. 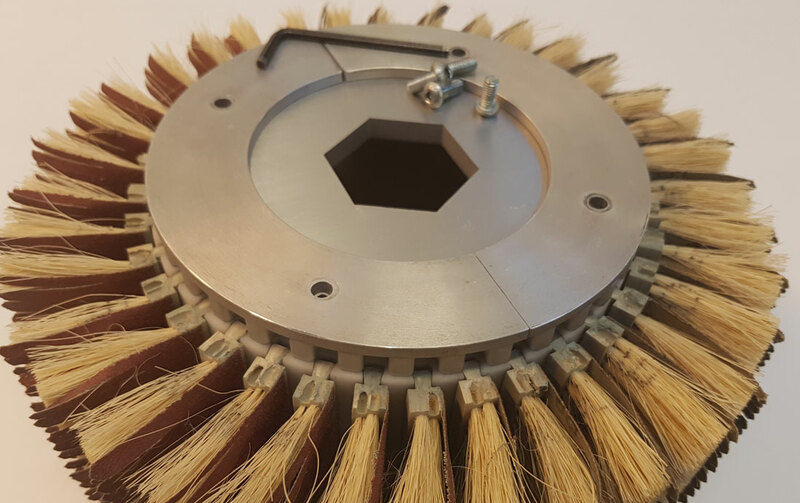 Identified by a grey plastic brush body, this is the most comprehensive system offered by Unosand. 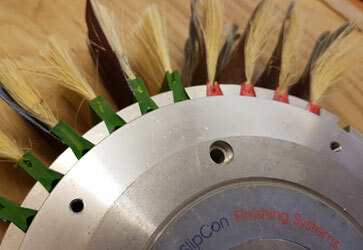 Available with single or double row sanding brush. 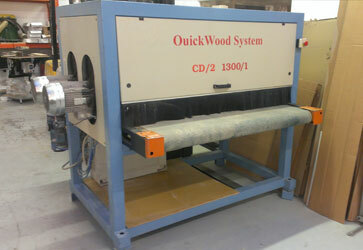 Double sided abrasive also available. Complete replacement Hub system - 50mm to 280mm dia. Aluminium discs 150mm to 250mm diameter. 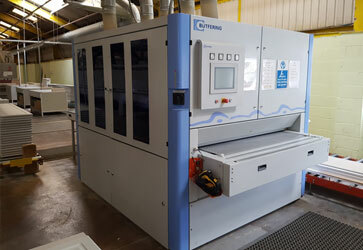 This system will integrate directly into all Unosand machines as well equipment from producers such as Flex-Trim, Loewer, MB Maschinenbau and many more. 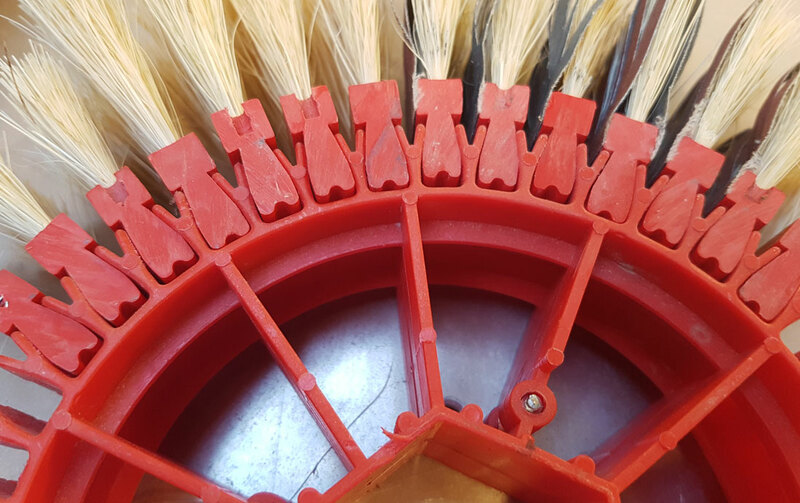 To complement the Unosand brush system a full range of replacement hubs and discs are also available. 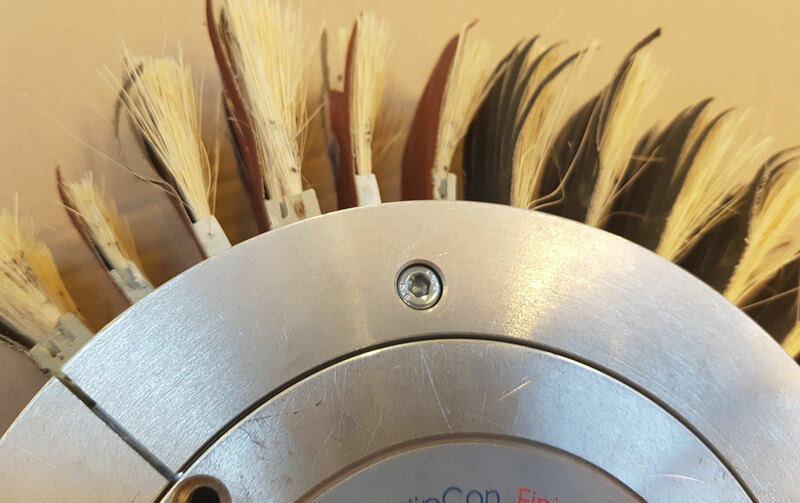 This system is identified by the crimped metal brush body. 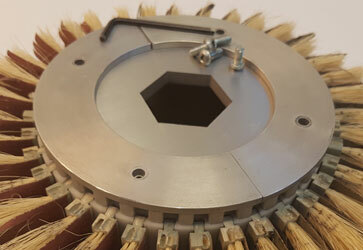 Flex System sanding brushes will integrate directly into Unosand machines as well equipment from producers such as Flex-Trim, Loewer, MB Maschinenbau and many more. 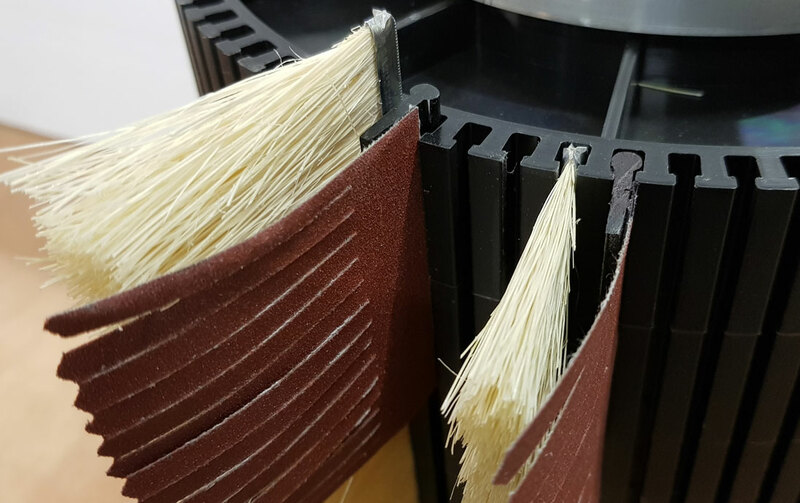 Brush Body Dimension is identical to Unosand Brush Sanding System. 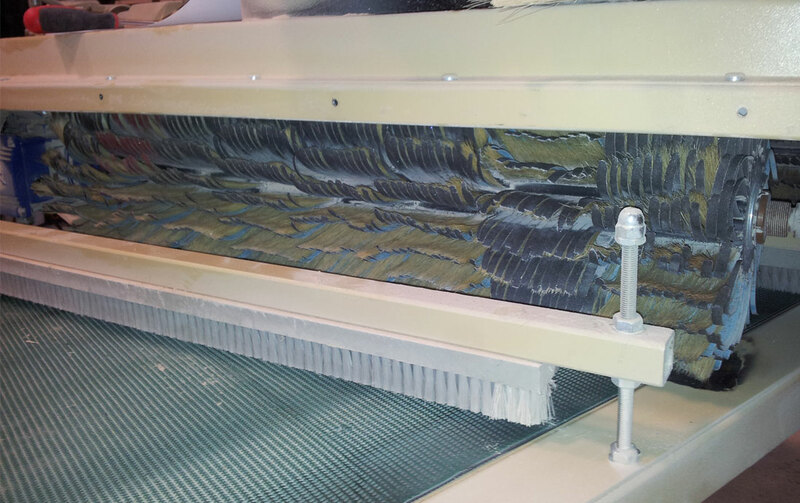 Double sided abrasive is available. Ideally suited for hubs and disc made of POM. 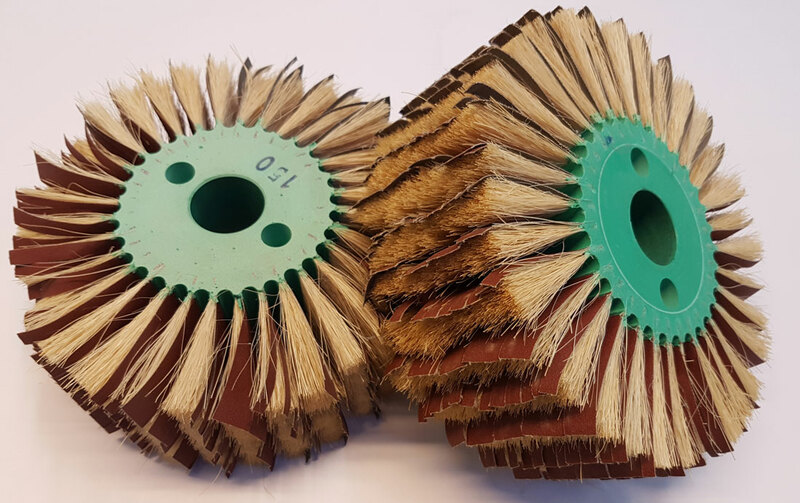 Maximum sanding brush length 2000mm. 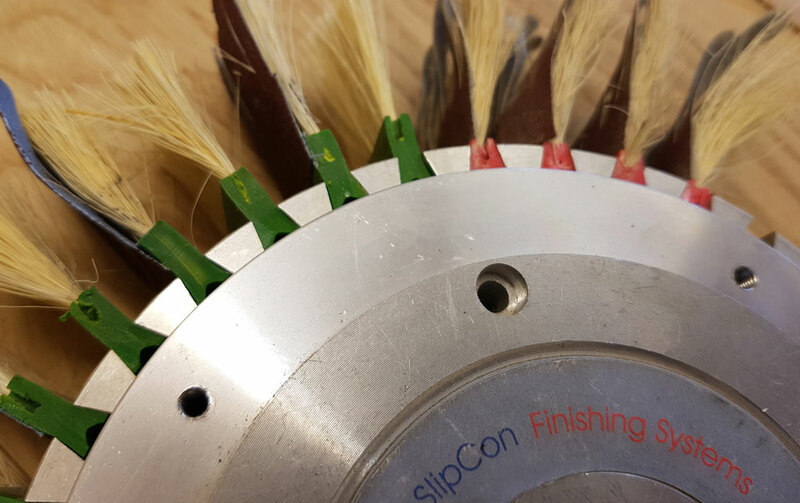 The Slip System sanding brush, identified by a green plastic brush body, is designed to fit into equipment with slightly larger than standard key ways. 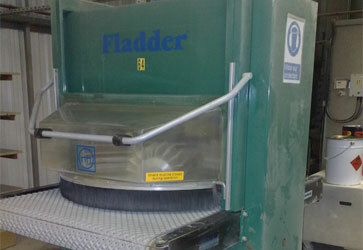 Suitable for some Slip Con Finishing Systems equipment and others. 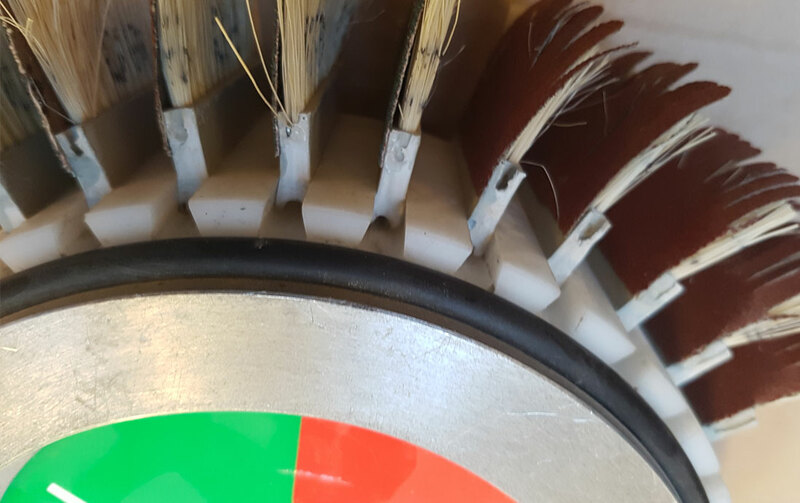 This range of sanding brushes is limited at present to the single row brush type but offers a double sided abrasive option similar to the Unosanding brush system. Complete replacement Unosand hub system - 50mm to 280mm dia available. 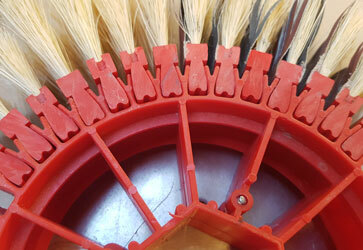 This sanding system is identified by the red plastic brush body. 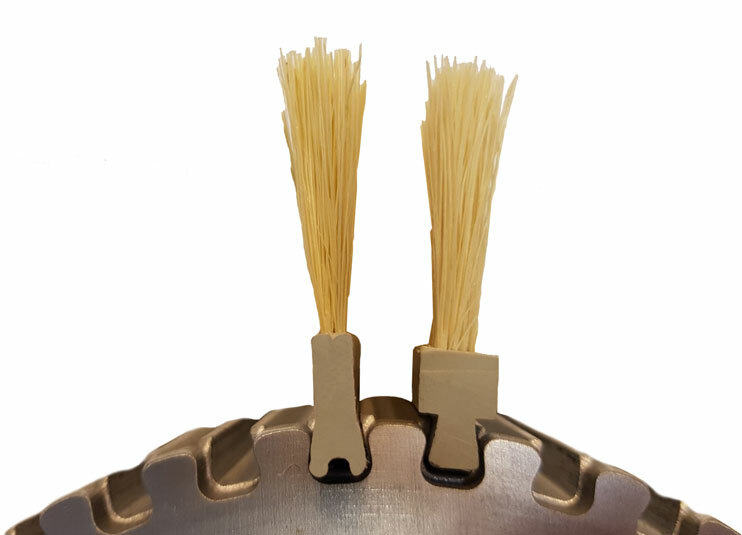 Suitable for larger key ways produced in either extruded aluminium or red moulded plastic. 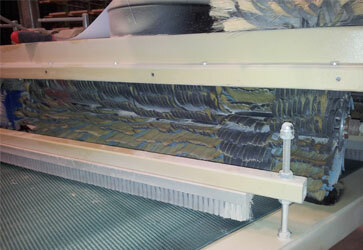 Advantage here is the abrasive is attached to the brush body out side the key way preventing wear to the key way itself. Access end cap, 50mm hex bore. A full range of replacement hubs are available here. 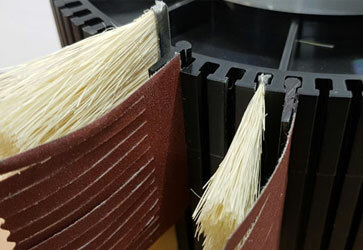 Suitable for small keyway sanding systems, often black plastic, fitted to machines originating from Italy (SCM) and the Far East. 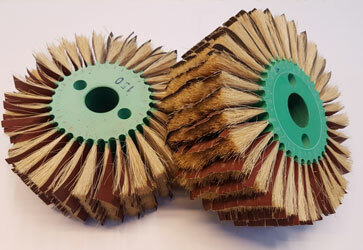 Unosand also replace disposable moulded core brush systems. A replacement Hub with key ways fits into the machine. 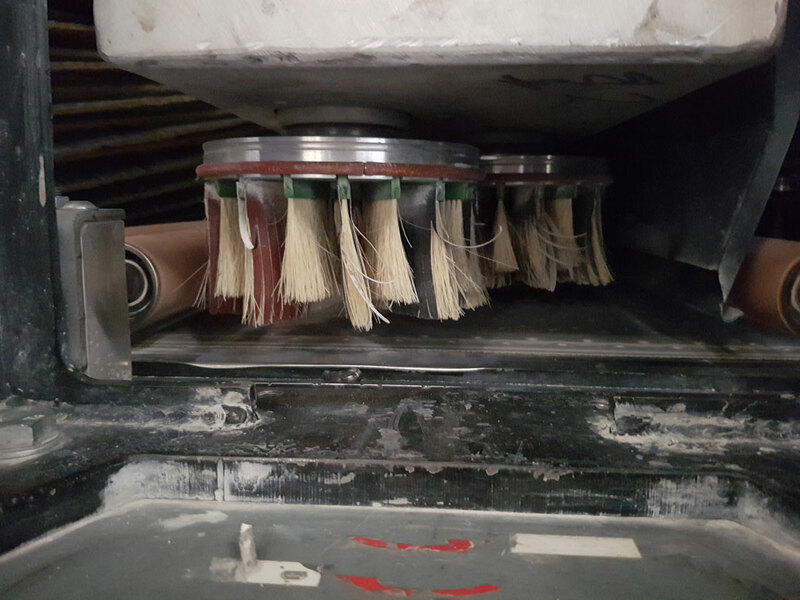 Brushes are then replaceable when worn and can be installed without having to dismantle the machine. 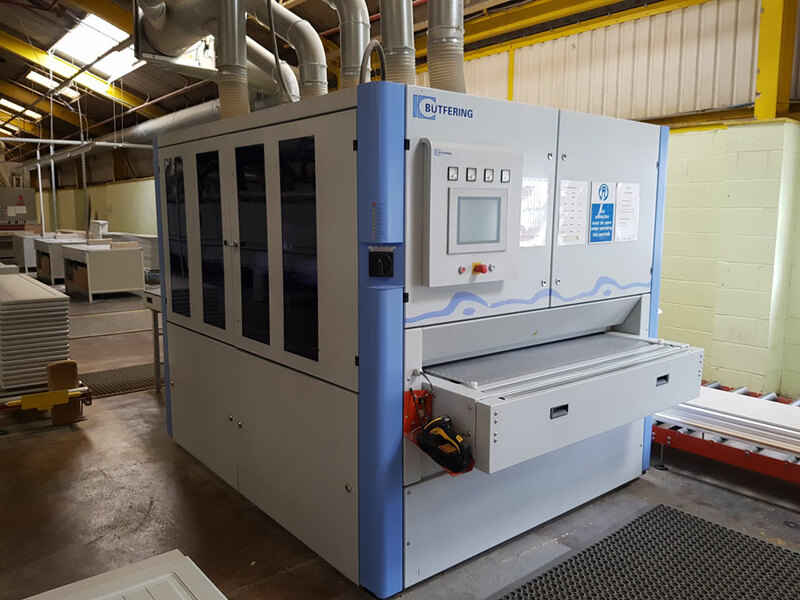 This is also a more environmentally friendly option with less wastage over time. 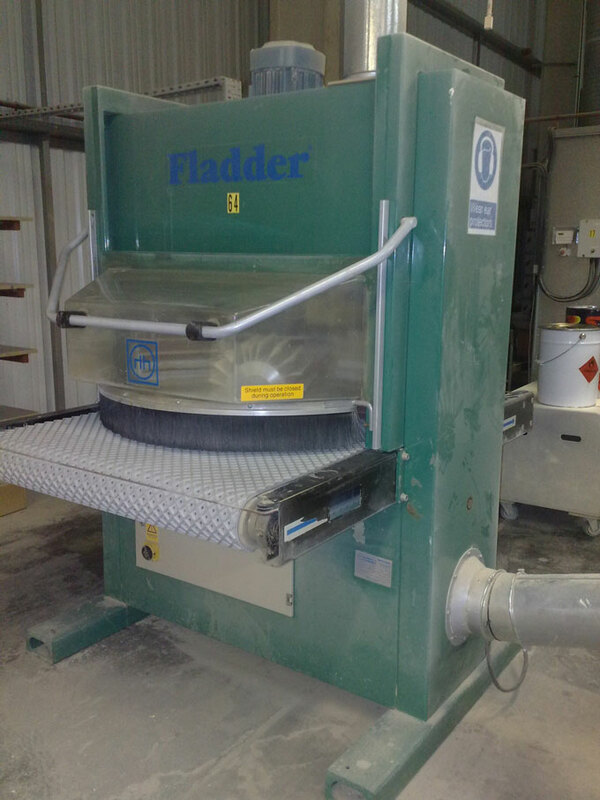 Fladder machine from the 1990's. 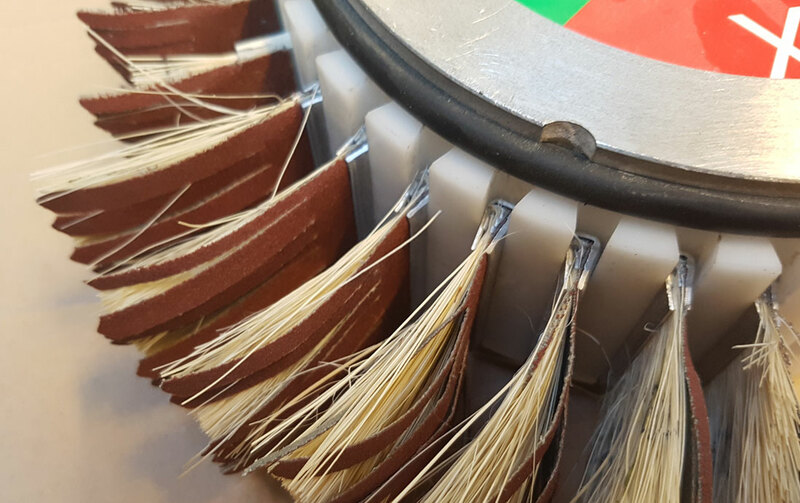 Full replacement of Unosand Hubs 180 diameter, key ways filled with Unosand System brushes. 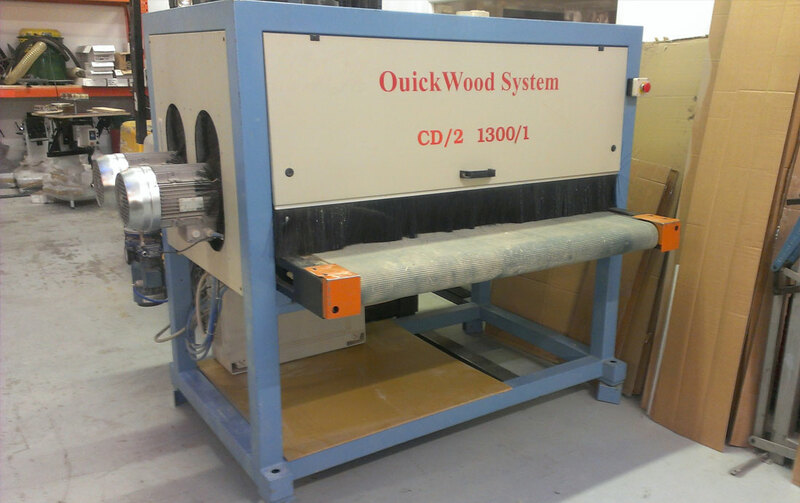 Quick Wood System (CD/2 1300/1 from the year 2000) containing replacement Unosand Hub. One piece of Aluminium, 180mm diameter with easy access end caps fitted. 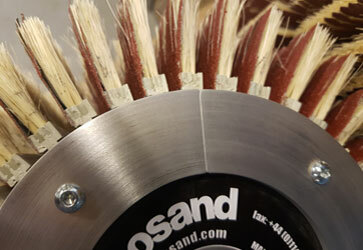 Key ways contain Unosand system sanding strips. 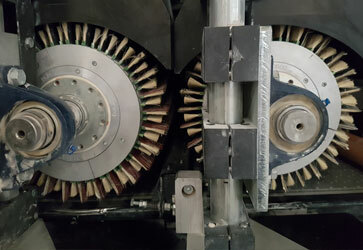 Bütfering brush sanding machine (from the year 2007) containing Unosand Slip System brushes integrated perfectly into old style Slip-Con hubs.